Motorcycling is undoubtedly one of the most exhilarating pastimes, whether you’re a rider yourself or someone who enjoys watching the cream of the crop do battle out on the track. There’s nothing quite like being out racing or enjoying a ride with friends; and some even enjoy the commute more because they do it on their bike – and because they appreciate just how far protective clothing and equipment has come in recent times to keep them safe. Over the years motorcycling has come a long way, in terms of the power and styling of the machines but one area where the industry has really evolved is in terms of protection. Helmets are lighter and stronger than ever before to provide greater comfort and protection. TPU protection, CE approved armour and knee sliders are now standard features on leather suits. New and innovative protection systems have been added, airbags with one particular brand at the forefront of the move towards integrated airbag systems. 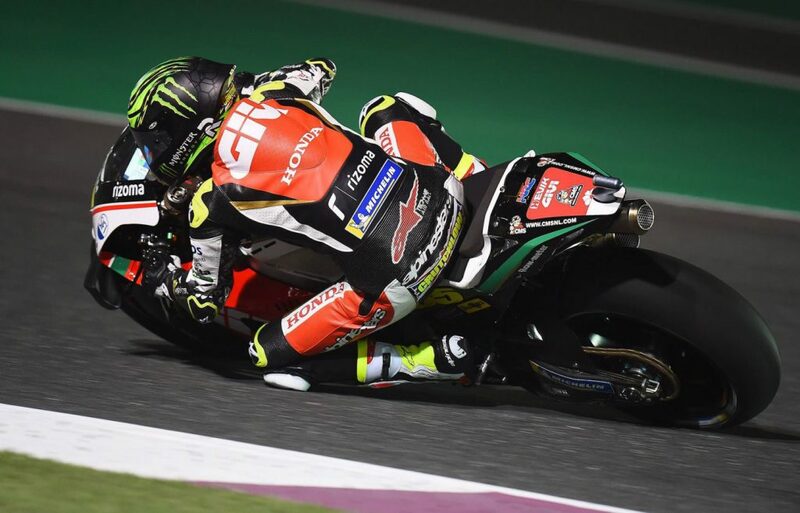 Like most innovations, airbag technology started at the very top with the aliens of motorcycling – the MotoGP riders – getting first use of the Alpinestars Tech-Air race system, with over half a million miles of on-road testing since. The system was to be worn under a rider’s compatible Alpinestars leathers and would be designed to go off when a rider fell or was involved in an accident; thereby reducing the risk of serious injury to a rider at high speed – whether that was an accident involving another rider, a barrier, a high-side or through sliding down the track into the gravel. The airbag system itself deploys using an incredibly advanced algorithm, which is connected to a computer system and ECU, allowing it to inflate when it interprets a crash is on the way and, therefore, helps to protect the rider before impact. In fact, the system is so advanced that it knows not to deploy at speeds below 30mph so it doesn’t go off if your suit falls off the rail in the garage! Tech-Air provides protection for a number of the key areas of the body: back, shoulders, kidneys, chest and upper abdomen. 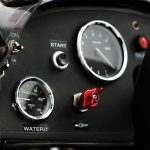 After a decade of searching for solutions and development, Alpinestars unveiled the Tech-Air system to be worn beneath the range of leathers worn by the likes of Marc Marquez, Jorge Lorenzo, Maverick Vinales, Andrea Dovizioso, Cal Crutchlow and Alex Rins; plus World Superbike Champion Jonathan Rea and many more. Alpinestars leathers were already widely regarded as the very best and most innovative available, giving riders complete protection and the confidence needed to go out and race at the highest speeds – and Tech-Air gave them an added boost. An innovation years in the making, Tech-Air from Alpinestars was such a hit with the world’s elite that the company made the decision to start filtering the offering down to the general public, giving riders around the world the same protection against crashes involving other road users and run-offs as the MotoGP stars had out on the track. 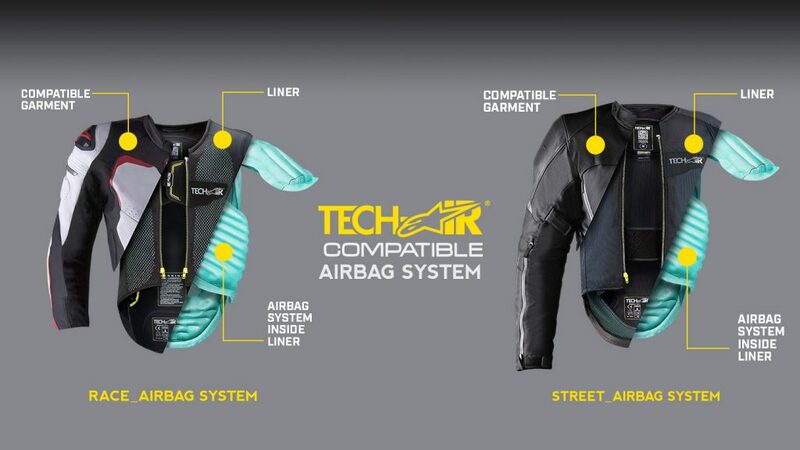 Having access to protective clothing and equipment like Tech-Air is just another sign that motorcycling is getting safer, and that the big brands like Alpinestars are taking steps to look after riders both on and off the track. Being developed by the likes of Marquez, Lorenzo, Dovizioso and Jonny Rea is a sign of endorsement for many with a lot of riders basing their decisions on the clothing and equipment used by their racing idols. Just like kids wanting football boots worn by their favourite players, motorcyclists look to the big stars in MotoGP, WorldSBK and alike for the next innovations, their next choice of leather suits, their next helmets and so on; so it’s great news for riders that Alpinestars Tech-Air and more technologies like airbags are making their way onto the market and not just the factory racing garages. What else do Alpinestars do? Now obviously, Tech-Air isn’t all that Alpinestars do. They’re known for an exceptional product range sold the world over by the shed load. When it comes to protective motorcycle clothing you can pretty confidently state that Alpinestars make it (the one exception being helmets). When you think of motorcycle jackets, leathers and race suits most riders will instantly think of Alpinestars. Not only do some Alpinestars leathers have the option for you to add key features like Tech-Air, but they’re arguably the most stylish leathers on the market today. Whether you’re into individual motorcycle jackets and pants like the new Alpinestars Viper V2 Textile Motorcycle Jacket or you prefer a one-piece leather race suit; Alpinestars tick every box with a range suitable for every rider. The Alpinestars Missile 1 Piece Leather Motorcycle Suit is just one example of a stylish, Tech-Air compatible suit that offers exceptional comfort and fit for riders. Made from full grain leather and designed to stretch where you need it to, this CE certified suit comes in a variety of different designs with the iconic Alpinestars logo across the chest, knee sliders and shoulders. Another popular one-piece suit option is the Alpinestars GP Force Leather Motorcycle Suit which comes with large stretch panels to aid movement on and off the bike, an ergonomic hump to improve airflow and performance at speed and removable, replaceable knee sliders for you to tailor the leathers your way or replace your worn sliders after some serious knee-down action on the track. At the very top of the range is the brand spanking new Alpinestars GP Tech V3 Leather Motorcycle Suit, another Tech-Air compatible set of racing leathers with aero hump complete with an opening for a hydration pack. Offering many of the same features made available to the professional racers, the GP Tech V3 leather suit has a more aggressive race fit and is manufactured from premium Kangaroo and Bovine leather. Factor in the CE approved knee, shoulder, elbow and tibia protectors, this is a race suit guaranteed to offer you MotoGP levels of protection out on the race track or the road. Last, but by no means least, you also have the option to buy some incredibly comfortable and exceptionally stylish Alpinestars boots and gloves. Made to provide optimum comfort and flexibility while you ride, to keep you cool in the heat – yet dry in the wet – and to be coordinated with your Alpinestars leathers (and even the colours of your bike if you so wish), Alpinestars gloves and boots are right at the top of the table when it comes to sales. Another example of clothing and protection filtering down from the premier racing classes, the Alpinestars Supertech motorcycle gloves have been tested and proven at the very elite level and are now available for you to buy at Demon Tweeks. Perhaps the most advanced set of motorcycle gloves to date, the Supertech offers exceptional levels of comfort and protection with their Kevlar lining and pre-shaped leather around thumb and finger, while also enabling you to get fantastic feedback from the controls. From a footwear perspective Astars have raised the bar yet again with their Alpinestars SMX Plus V2 motorcycle boots. Made using the latest materials with the latest technology to ensure they’re light but incredibly protective, the SMX Plus V2’s come with a contoured shin plate, replaceable heel sliders, anatomically-designed foot bed for exceptional feel on the pegs. For all of the latest Alpinestars leather jackets, suits, gloves, boots and much more besides; head over to the main Demon Tweeks website.